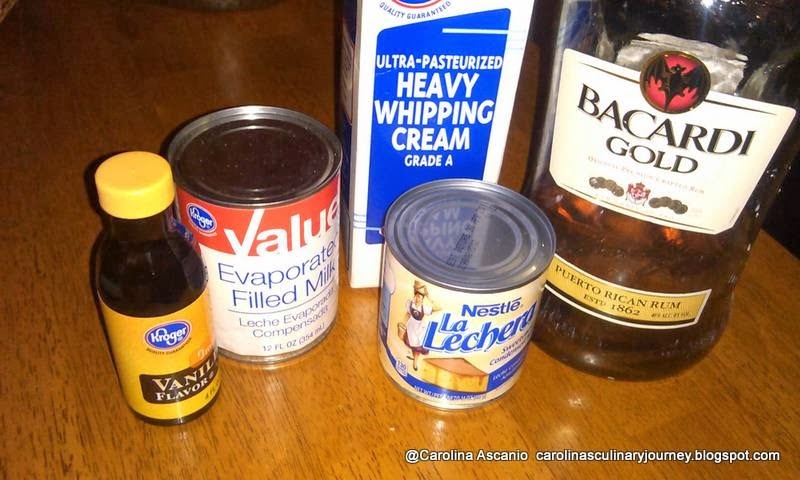 Since I like the flavor of the Rum in the cake I added in the mix, in the tree milk cream and in the Chantilly Cream! Separate the eggs. Beat egg whites until stiff. 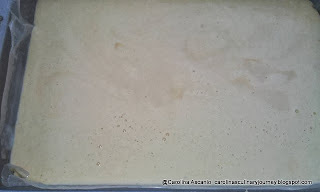 In a separate bowl beat the egg yolks with the sugar, vanilla, baking powder and rum. Add flour and mix for a couple of minutes. 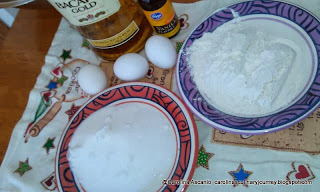 Fold the egg white into the mix. 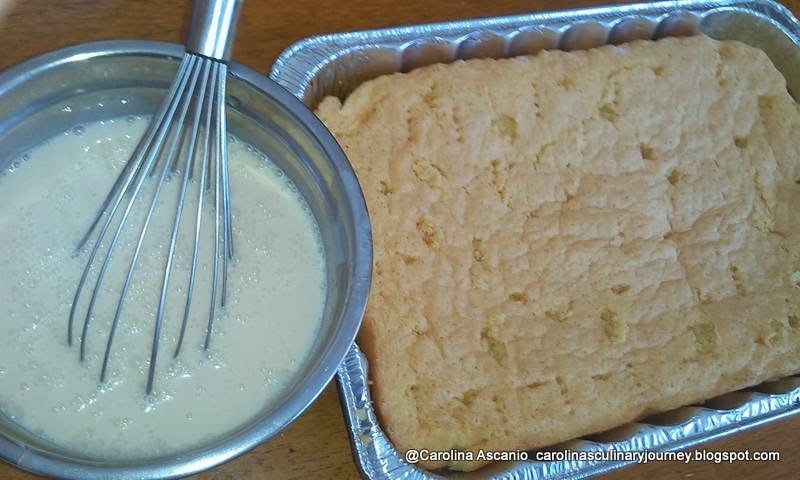 Pour the mixed into the baking pan. Bake at 350 ° F (180 ° C) for 12-15 minutes. 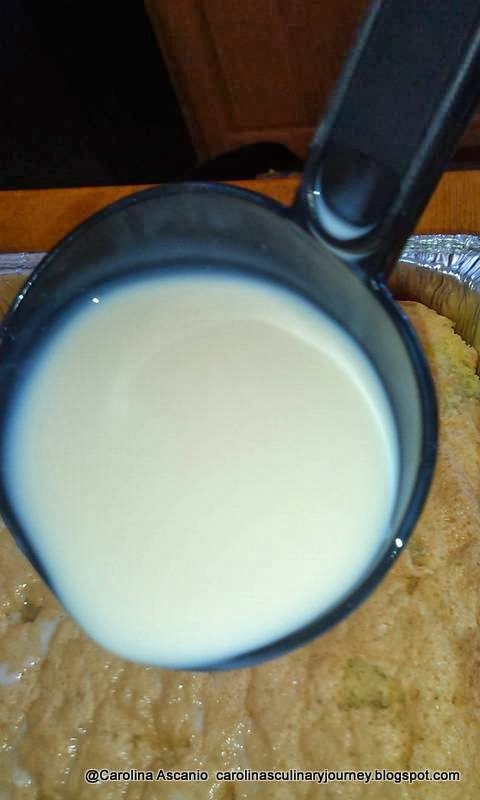 While the cake is baking prepare the Three Milk Cream. Mix all ingredients in blender or in a bowl and whisk and set aside until ready to be pour into the cake after is baked. Prepare the Chantilly: Whip cream, add sugar, vanilla and Sahnesteif. 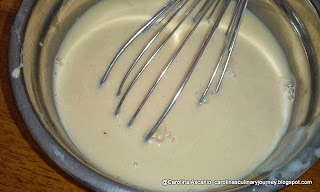 It is very important that the heavy cream be very cold in order to get the right consistency of cream. 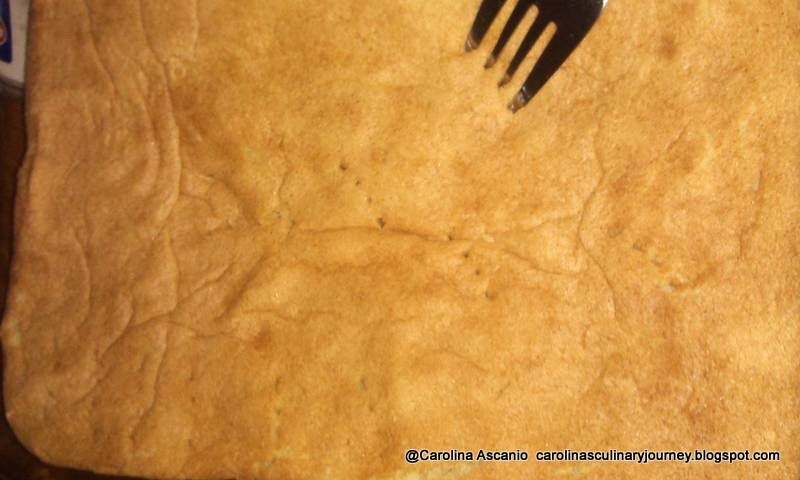 Once the cake is ready removed from the oven, if you add the parchment paper carefully turn it over to remove the paper and place the cake back in the baking dish. Punch some hold on the surface with a fork. Pour over the three milks cream mixture over. Traditionally is prepared a meringue with egg white but we must ensure they are fresh and I prefer to prepare a Chantilly Cream because it more fresh and lighter. Then decorate with Chantilly cream and sprinkle with cinnamon. Keep the cake in the refrigerator until ready to be served. Is more delicious is you made at least 3 hours ahead or leave it in the refrigerator overnight until the moment to be served. 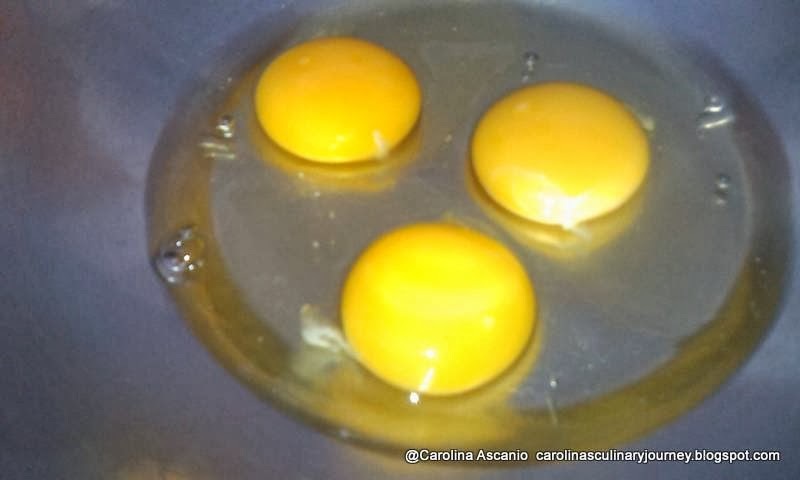 Separar los huevos. Batir las claras de huevo a punto de nieve. En un recipiente aparte batir las yemas de huevo con el azúcar, la vainilla, el polvo de hornear y el ron. Agregar la harina y mezclar por un par de minutos. Vacié la mezcla en la tortera. Hornéelo por 350° F (180° C) por 12-15 minutos. 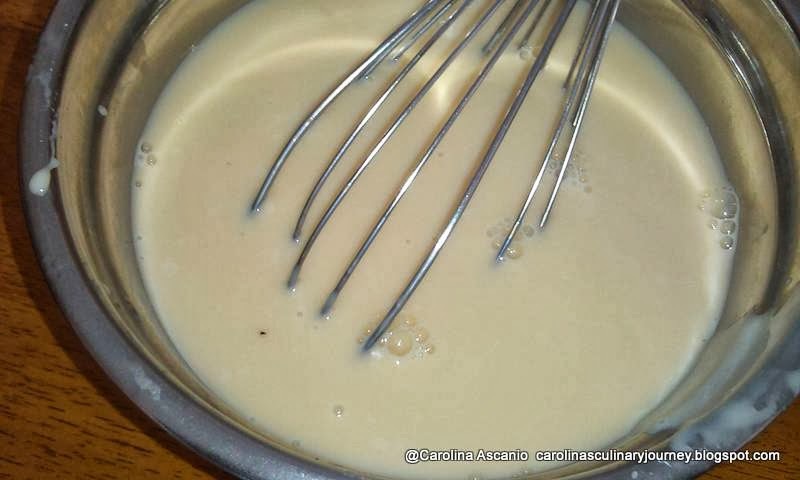 Prepare la Crema de Tres Leches (Mientras la torta está en el horno): Mezcle todos los ingredientes en la licuadora o en un envase y batalos y reservarlos hasta el momento de ser vertitos en la torta. 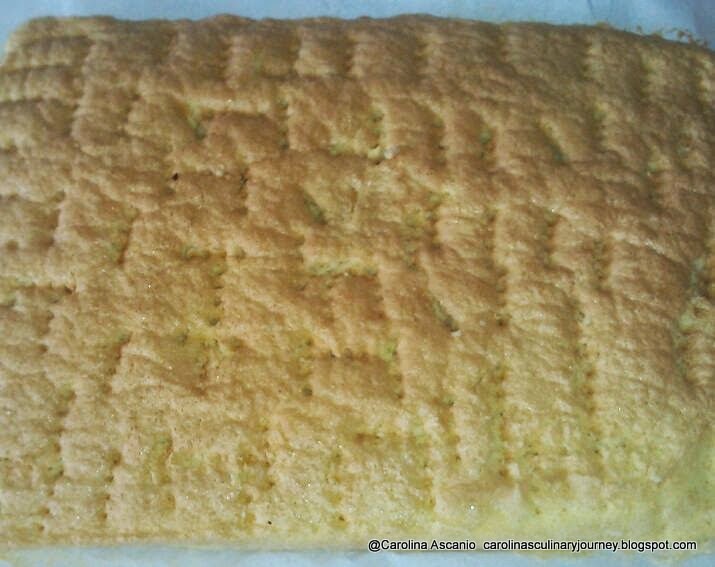 Una vez horneada la torta hacer unos hoyitos con el tenedor. En el caso de coloco papel parafinado voltéelo cuidadosamente, retire el papel y vuélvalo a colocar en la tortera. 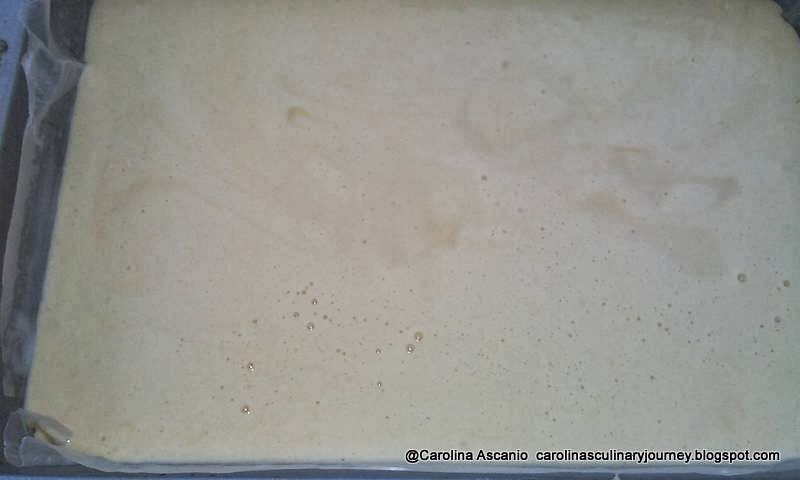 Vierta la mezcla de las tres Leches sobre la torta. 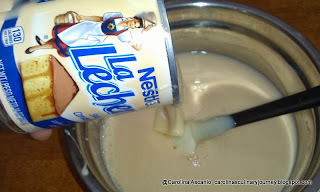 Prepare la Chantilly: Batir la crema de leche, añadir el azúcar, la vainilla y Sahnesteif. Es muy importante que la nata para batir este bien fría con el fin de obtener la consistencia adecuada de la crema. 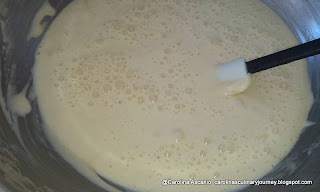 Tradicionalmente se prepara un merengue con clara de huevo pero debemos asegurarnos que estén frescos y a mí en lo particular me gusta más con la crema chantilly porque es fresca y ligera. 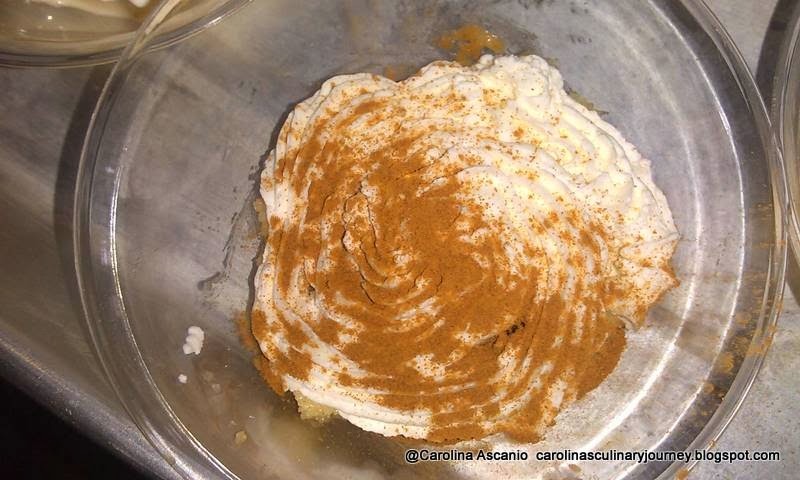 Luego decore con la crema Chantilly y espolvoréelo con Canela. 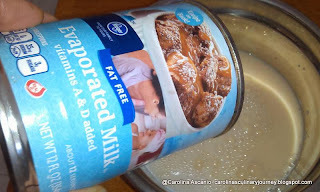 Mantenga la torta en el refrigerador hasta el momento de ser servida. También puede colocar en moldes indivduales en los que vaciara un poco de crema tres leches y decorarar con Chantilly y espolvorear con canela. 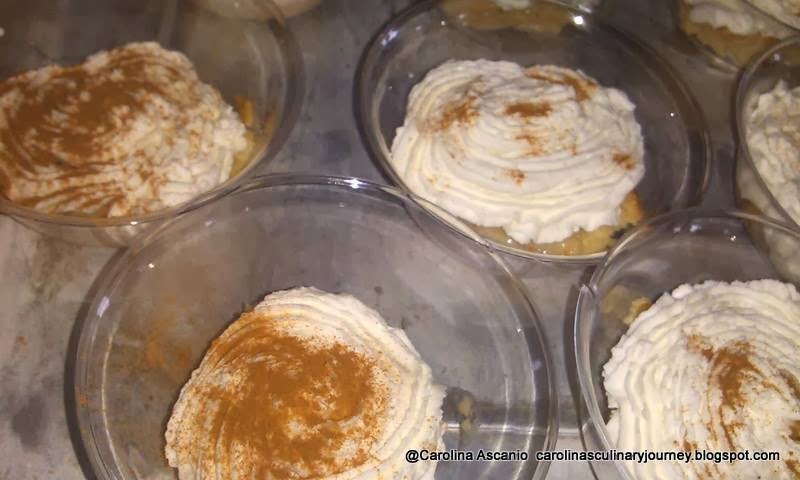 I've learned to LOVE Tres Leches Cake and have on occasion found a box mix in our local Hispanic markets, but can't find it currently. So, I may try your recipe. 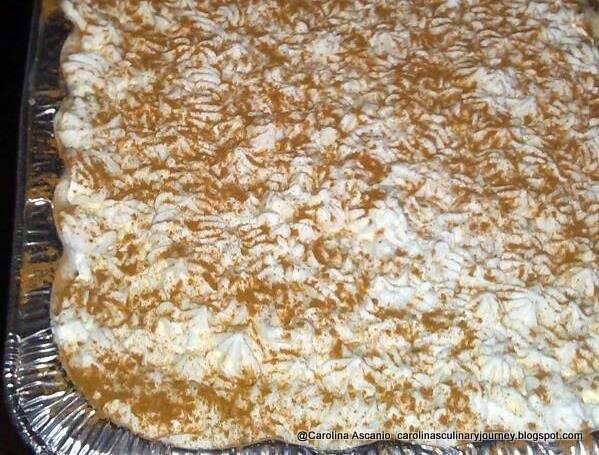 What size baking dish do you use? Some recipes call for an 8x8 or 9x9 or a 9x13. Would you clarify for me, please? Thank you.